He will heal her heart.She will steal his. Worse, 60 British warships have amassed in Negril Bay, Jamaica, preparing to attack New Orleans. He must retrieve the sacred relics before the British arrive and seize the city. Either commit treason or betray the woman he secretly loves. Betraying one sends him to the guillotine, the other straight to hell. This series is about spirited, independent women and rakish bad boy pirates, wrapped up in women's action and adventure sea stories. If you enjoy romantic action and adventure, action and action and adventure romance fiction, historical romance or women's fiction, you'll love the Pirates & Petticoats series. Before she could answer, the captain’s shoulders tensed and his attention whipped around to focus to the right of the trail ahead. Broad leafy shadows crossed the moonlit path. Nothing moved, no sounds. No beetles buzzing, no night creatures rustling in the underbrush, no chirping tree frogs. Her lungs tightened. Jamaica wasn’t without its dangerous beasts, both human and animal. “What is it?” she whispered, gripping the edge of the cart seat, staring wildly into the dense flora. She slumped with relief. Miss Kalia. Next to her, the captain froze, his hands gripping the reins as if they kept him from falling into a burning pit of lava. The captain turned to granite beside her, likely embarrassed (as well he should be) that Miss Kalia had seen him leaving a brothel. Eva chewed her lip. Maybe she misread the man. Allowed desperation to dictate her impressions. The old woman approached the wagon, swaying like seaweed with the tide, perhaps due to aching joints, but on a night like this, it was bewitching and unnerving, like an adder mesmerizing prey. The moonlight subdued her brightly patched skirt into shades of grayish-reds, greens, blues, and yellows. Colorful feathers poked out in every direction from the silver hair piled high on her head. A streak of white paint trailed from one ear, ran along her jawline, across her chin, ending at her other ear like a gruesome grin. Eva fought the strong desire to squirm closer to the pirate for protection. That would give her as much reassurance as jumping from an alligator’s jaws to a lion’s mouth. Kalia hummed as she peered over the side at Jacqueline. “T’ought so. Eva, see I in a vision just now. Surrounded by thunder and frost, perched next to a jaguar black as night. Woke I wide up.” Before she could respond, the woman scampered up into the wagon bed bringing with her a strong tang of wood smoke. Julian didn’t take his eyes from her but still leaned away as she bent over his sister. She placed her palm against the girl’s cheek, her brown hand contrasting sharply with the pale skin, even though it was still flushed with fever. She tilted Jacqueline’s head back, pressed her chin down to open her mouth. Sniffed her breath. Unsure what to say or do, Eva dragged her gaze from the old woman to the captain. How long had those two known each other? His storm gray eyes followed the crone’s every move. Eva shoved them into her bag, afraid to refuse them, and unsure of what else to do or say. The old Jamaican woman stepped back from the wagon and lifted both hands in farewell. Or some sort of blessing? A white witch. A “good” witch, if there was such a thing. Sister Beatrice would say there was not. But Eva had seen too many things to denounce anything outright. There was no telling what spell Kalia incanted or bestowed upon them. The pirate slapped the reins and clucked the mule forward, none too soon. Tension radiated from the captain in waves of heat. Kalia had managed to slither past his, steely, rugged aura to poke the tiniest gap between courage and unease. The muscles in his jaw tightened, but he did not look at the old woman as they passed. “I…I don’t know how to answer her question.” Eva looked over her shoulder, but the witch had disappeared. An awkward silence followed. The jungle remained paralyzed for several minutes. He could have taken Jacqueline to Kalia, but he didn’t. Most island people would have sought the Obeah healer first. She peered at him again, understanding now why he hadn’t. A rigidity thrummed through his broad shoulders; he had a flare in his nostrils, a fierce glint in his eyes. “It’s not black medicine.” She corrected him. “Obeah is a very ancient healing practice.” Trying to ignore the twinge of foreboding they sent through her chest, she shifted the tea and the tonic to the bottom of her sack. “Call it what you will, the white settlers and plantation owners fear it,” he rumbled. How should she approach the last premonition? He had to be familiar with the old woman’s visions if indeed he knew who she was. How would he react? Surprise? Disbelief? She plunged ahead anyway. “Miss Kalia stopped me at the market two days ago and told me a man would come to the abbey with a sick girl-child,” she blurted it out before she could stop herself. He would think her a ninny. Talking about an old woman’s premonitions as if they were gospel, which they were not. “Indeed.” His brows dropped in thought, or perhaps concern. She couldn’t, wouldn’t confide what Miss Kalia had said next. That was something she dared not repeat. 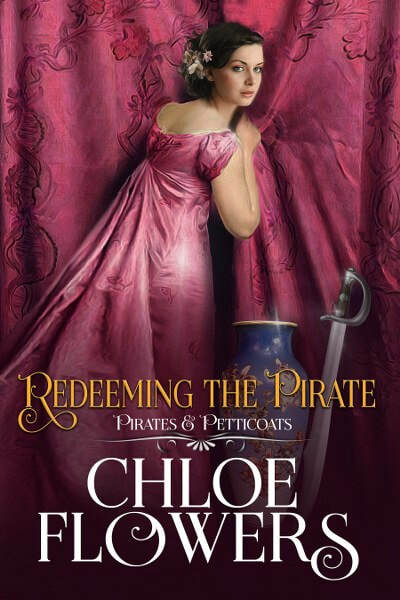 ~Award-Winning Author~ Chloe Flowers writes historical women’s action and adventure romance novels about scoundrels, pirates, and spunky, independent heroines. She likes to challenge her characters by tossing them the middle of actual historical events, or with real historical characters. Chloe is a member of the Romance Writers of America, Northeast Ohio Romance Writers and The Beau Monde Romance Writers group, where she serves as secretary. In 2011, she formed the Sunshine Critique Group so that she and other aspiring authors could motivate and challenge each other to become better writers. Six members have been published. She has given workshops and presentations on creating a critique group, how to provide effective critiques, story structure, and self-publishing lessons to writers groups, library patrons and children. In 2014, she started her own small publishing company, Flowers & Fullerton. 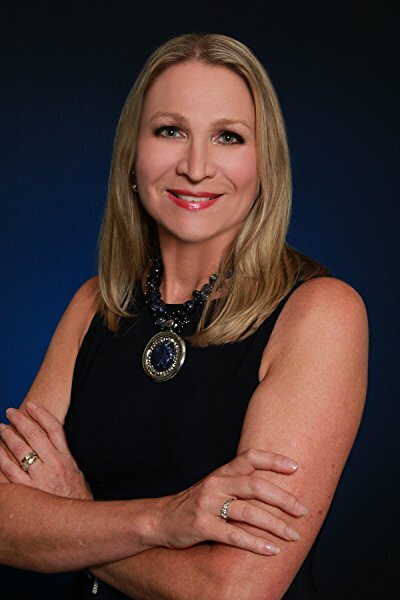 Currently, she’s the publisher of record for authors Sheridan Jeane, H.O. Knight as well as herself. Whether it’s dancing naked in a downpour at 3AM, zip-lining in a rainforest, or racing ponies, Chloe’s always looking for the next adventure. Her pets have always been named after favorite characters or action heroes: Indiana, Luke, Gimli, Thelma, Rocket, Forrest, Al Giordino, Severus, Mushu, Mérida, Gibbs, Jack…Dead Pool (he’s a goldfish).